Last month Ginnie Mae reached an incredible milestone that, for me, cements our place as a leader in the mortgage-backed securities (MBS) market: Our total outstanding principal balance crossed the $2 trillion line. That number matters because millions of low- and moderate-income rural, urban and veteran homeowners rely on loans made possible by Ginnie Mae’s MBS. 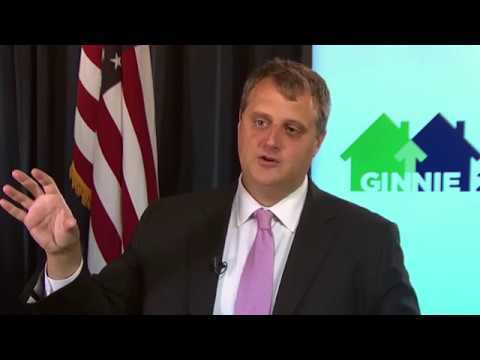 The Ginnie Mae guaranty allows mortgage lenders to obtain a better price for their mortgage loans in the secondary mortgage market, thus driving down the cost of homeownership. The lenders can then use the proceeds to make new mortgage loans available, thus increasing liquidity. The fact that Ginnie Mae has reached $2 trillion in outstanding principal underscores the corporation’s increasingly important role as a pillar of the secondary mortgage market. The corporation has grown a lot in the past decade or so. In 2010, Ginnie Mae’s outstanding principal balance was just $1 trillion. In other words, in just eight years we’ve grown as much as we did in our first 42 years. We meaningfully expanded our service at a moment when consumers needed it most. Ginnie Mae’s market share of MBS has also skyrocketed, from a low of 4 percent in 2005 to a peak of 31 percent in recent years. 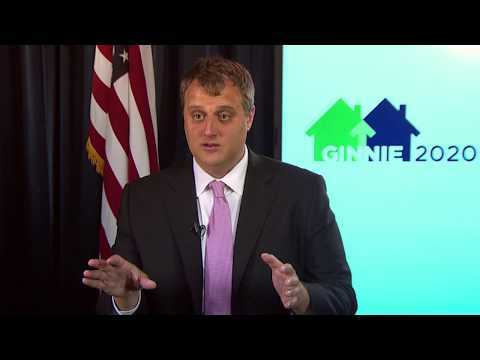 Ginnie Mae has been able to grow and increase our impact because our business model works. We facilitate the securitization of mortgages insured or guaranteed by the Federal Housing Administration, the Department of Housing and Urban Development’s Office of Public and Indian Housing, the Department of Veterans Affairs, and the Department of Agriculture’s Rural Development Programs. With an explicit, transparent and paid-for government guaranty, Ginnie Mae’s bond and Ginnie Mae’s brand are recognized as the most secure mortgage security in the world. Ginnie Mae’s business model significantly limits risks to taxpayers by providing a safe, effective and government-backed channel for the flow of capital for U.S. mortgages. How reliable is our robust process for ensuring the timely payment of principal and interest to security holders? Ginnie Mae has never missed a payment since its founding in 1968, even during the financial crisis of 2007-2008 and ensuing recession. We return money to the U.S. Treasury every year. A strong secondary mortgage market strengthens homeownership. We’re proud to say we’ve supported American homeownership for 50 years, and we’re not slowing down. ​The U.S. mortgage market today largely relies on the secondary market to provide the capital necessary to help make affordable homeownership possible. I’m proud to say that Ginnie Mae’s role in the delivery of capital for homeownership has never been greater. As the organization approaches $2 trillion in outstanding mortgage-backed securities (MBS), we’re focused on meeting the needs of our current investors and tapping into new markets in the U.S. and around the world to help maintain the flow of low-cost capital. The capital markets are extremely dynamic. Ginnie Mae has committed to matching that dynamism on behalf of the hundreds of thousands of homeowners we help every year. Foreign investors held 14.4 percent of agency MBS in Q1 2018, up sharply from the lows in 2013. For the month of March 2018, this represents $920.7 billion in Agency MBS; $405.2 billion held by foreign official institutions and $515.5 billion held by foreign private investors. Ensuring that investors who own Ginnie Mae mortgage-backed securities will get paid their principal and interest on time is a top priority for us. At Ginnie Mae, we dedicate significant energy and focus to evolving our approach to counterparty risk management in order to safeguard the government guaranty we provide and to protect our investors. The need for all market participants to have “skin in the game” when it comes to better managing counterparty risk for all participants. To further your understanding of how Ginnie Mae is enhancing its counterparty risk management, read Pillar II of the Ginnie Mae 2020 report. The housing market in the U.S. has stabilized from the crisis 10 years ago, in part due to the flexibility, adaptability and stewardship of the secondary market for government-backed home loans, and the solid value that the mortgage-backed securities (MBS) crafted from these loans represent to investors. Ginnie Mae was a much smaller source of capital to the mortgage market prior to the housing crisis. In 2007 — the year before the housing crash — Ginnie Mae guaranteed $95 billion of MBS and averaged approximately $130 billion annually between 2000 and 2007. Approximately $444 billion of Ginnie Mae MBS were outstanding at the end of 2007. Over the ensuing 10 years, the volume of Ginnie Mae MBS issued and outstanding climbed sharply, with 2017 issuance reaching $473 billion and the year-end outstanding balance hitting $1.9 trillion. To fuel that growth and remain responsible to our mission of maintaining a liquid and stable source of mortgage finance, for first-time homebuyers and veterans, Ginnie Mae adapted in two important ways. First, Ginnie Mae seamlessly increased the number of Issuers in the MBS program. Our historic role as a source of mortgage capital in market turmoil worked. When conventional mortgage volume fell significantly, the government-backed mortgage market underpinning Ginnie Mae MBS was there to fill the gaps. Ginnie Mae kept its focus on efficiency and risk management during this growth and today is exploring additional methods to monitor risk to help further ensure the stability of the market, and the availability of home mortgage capital. The investment qualities of Ginnie Mae MBS and the operational excellence of our program that appeal to global investors, as evidenced by our growth, directly benefits homeowners, especially first-time homeowners whose mortgages comprise approximately 70 percent of our securities. When I and others from Ginnie Mae travel abroad to speak to investors about our securities, invariably the discussion includes an overview of the place homeownership has in our country’s psyche. Survey after survey tells us that homeownership is a goal for more than 90 percent of adults. The strength of those aspirations is well received by investors and fuels Ginnie Mae’s commitment to provide the best MBS product that we can to attract the domestic and global capital necessary to do our part to help keep mortgage rates as affordable as possible. These investors also want to know how Ginnie Mae is managing risk. The memory of the housing crisis only a decade ago remains at the forefront of many investors’ minds. So in addition to explaining the central role that homeownership has in the psychology and economy of America, we also explain our risk management framework. This framework focuses on having strong Issuers capable of weathering the changes that inevitably will come to the market and helping to ensure that there are lenders continuously in the marketplace able to provide mortgages to the millions of families each year who want to buy a home. Moreover, risk management involves monitoring the mortgage origination behavior of our Issuers to ensure the integrity of the securities. If investors at home and abroad can’t use market-based models to value our securities, they will step back from investing, hurting American homebuyers. The mortgage finance system is complex, with participants stretching all across the globe, from local lending institutions on Main Street to the investment departments at banks in nearly 200 countries. But for all the system’s complexity, two aspects are simple: Homeownership is ingrained in America’s culture and aspirations, and Ginnie Mae will continue to offer programs that allow for growth and safely manage risk to keep mortgage capital flowing for America’s homeowners. For the past 50 years, Ginnie Mae has provided countless Americans, including veterans, first-time homebuyers, and low- and moderate-income borrowers the opportunity for homeownership. We have played an integral role in expanding housing opportunity for Americans by bringing global capital to the U.S. housing market and maintaining stability and liquidity through all market cycles. We’ve come a long way since 1968, and will continue to evolve and modernize our platform, programs and products to ensure we’re fully-equipped for our current mission, and able to step up to any role policymakers may task our agency with in the future. So, please keep an eye out in the coming weeks for a complementary paper that addresses the other side of our story; where Ginnie Mae is headed in the future as we continue evolving to meet the needs of the dynamic housing finance marketplace. In the meantime, we encourage you take a few minutes to read Ginnie at 50. Having done so, you will have a better grasp of one of the lesser understood, yet most important and durable pillars in the U.S. housing finance system.